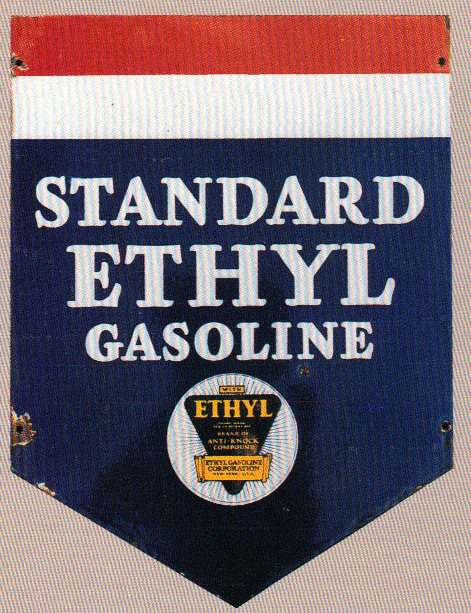 Die-cut sign for Standard Ethyl Gasoline with the official Ethyl logo. This die cut sign looks like a pennant standing vertically. At the top are red and white stripes. The lower portion of the sign is a dark navy blue with an Ethyl logo in the center.